With a global spotlight firmly on the importance of freshwater with World Water Day upon us (22 March 2019), new data from leading water brand EauVation shows that nearly seven out of ten consumers are concerned, or very concerned, with the use of single-use plastic water bottles involved in the serving of table water in the eating out sector. This growing concern follows in the footsteps of campaigns such as Sky’s Ocean Rescue which has been pivotal in driving awareness of the unsavory facts that more than eight million tonnes of plastic is thrown away each year and washed out to sea. By 2050, it is estimated that the amount of plastic in the world’s sea could weigh more than all the fish. With it taking 450 years for a drink bottle to be broken down, one study estimated that there are almost 15 trillion pieces of micro plastic in the ocean. These particles are easily eaten by marine creatures, with often devastating effects. 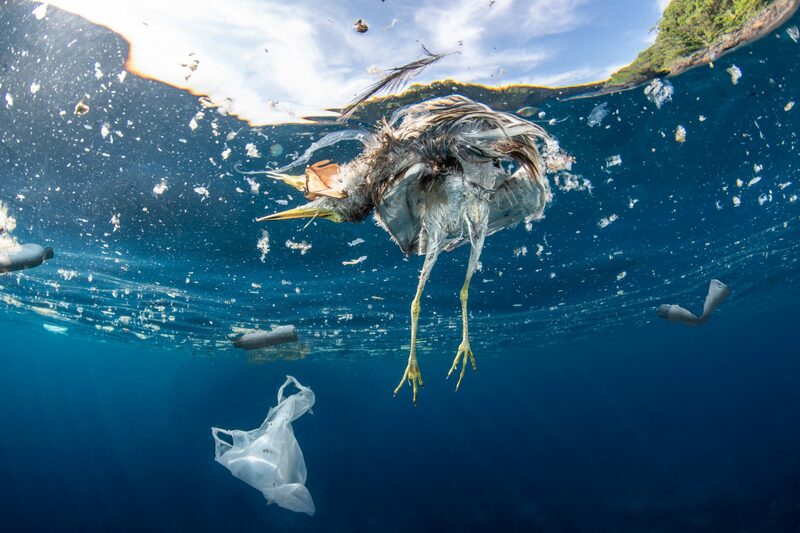 “It’s not just about the toxic wasteland that we are creating in our oceans – with marine animals ingesting plastic, this issue is increasingly having a direct impact on our food chain. With the lid being lifted on the shocking effect plastic is having on marine life, it is vitally important that the Hospitality sector moves away from single use plastic bottles on tables before it is too late. “For those restaurateurs who are looking for viable options that allow them to move away from single use plastic there are growing solutions of freshly purified water systems. “However, recent data (from a survey undertaken at the Foodservice Show Jan 2019) revealed that knowledge is still limited. For example, only 28% knew that freshly purified water solutions can also deliver chilled sparkling water – not only an environmentally-friendly option but a popular choice amongst consumers when dining out. EauVation provides environmentally-friendly, filtered still and sparkling water bottling systems for the Hospitality industry. These have the potential to allow an increase in profits from the sale of in-house bottled water alongside savings in cost, space, waste and time.